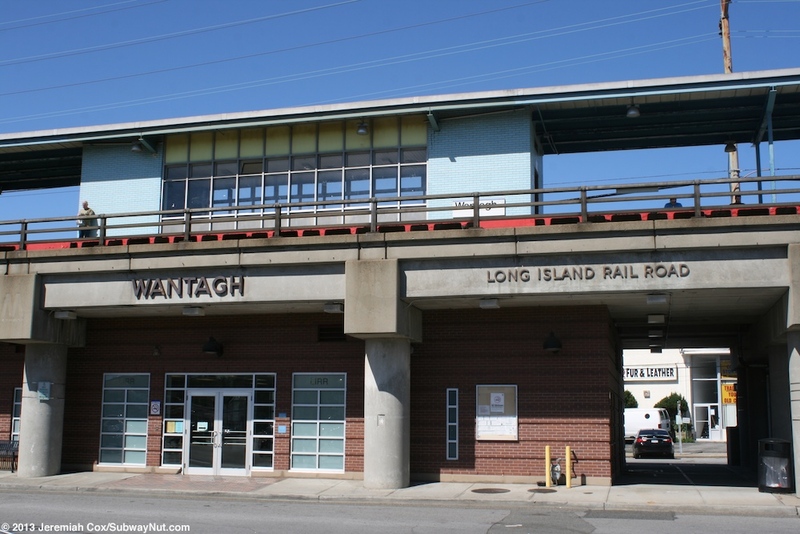 Wantagh is a LIRR station that was elevated onto a concrete viaduct from 1966 to 1967, opening on October 22, 1968 under the same project as neighboring Seaford. 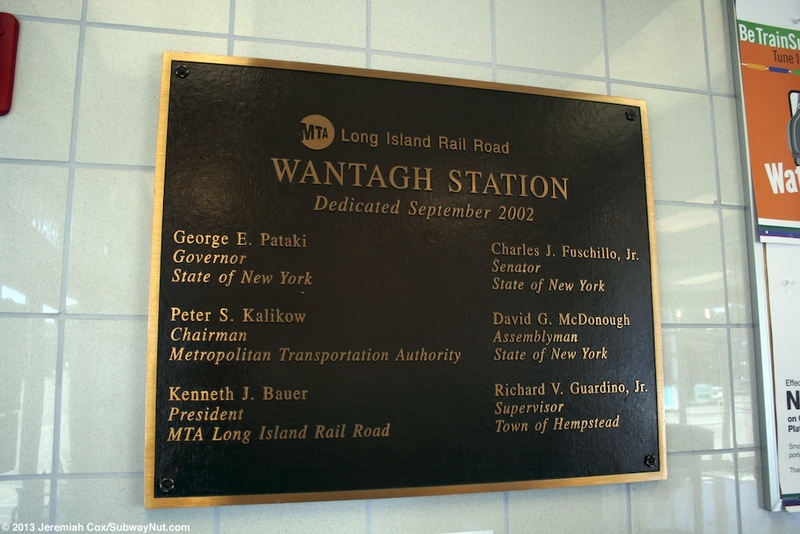 The station received minimal renovations to the station house and waiting room with a dedication plaque for September 2002 but still lacks amenities like an elevator and isn't ADA compliant. 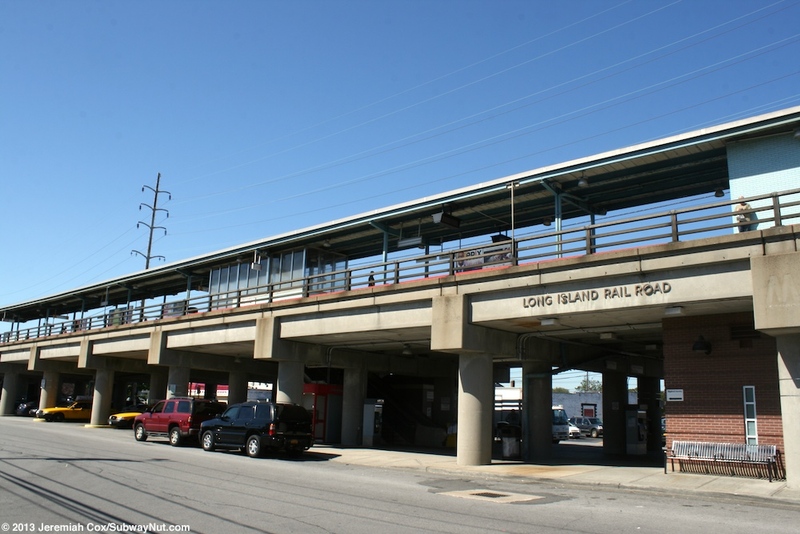 Plans are underway to completely rebuild the station platform like has already been done at Seaford. 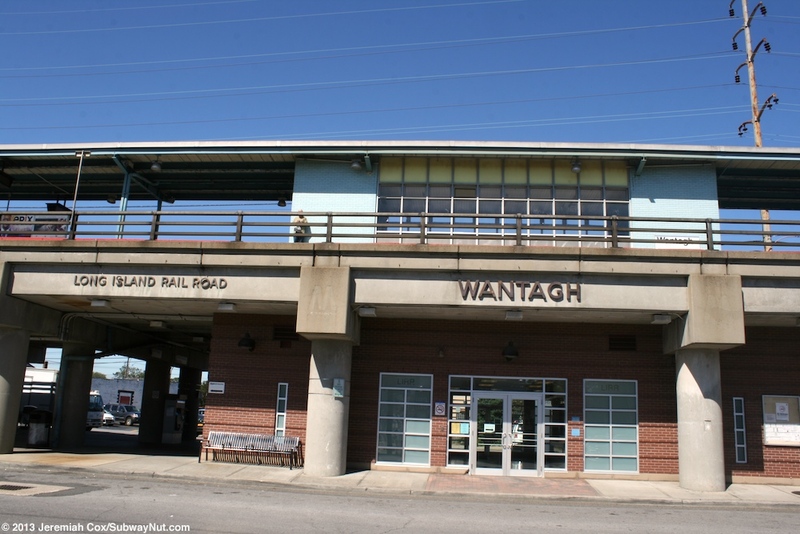 The historic station house was moved three blocks north and is now the Wantagh Museum. 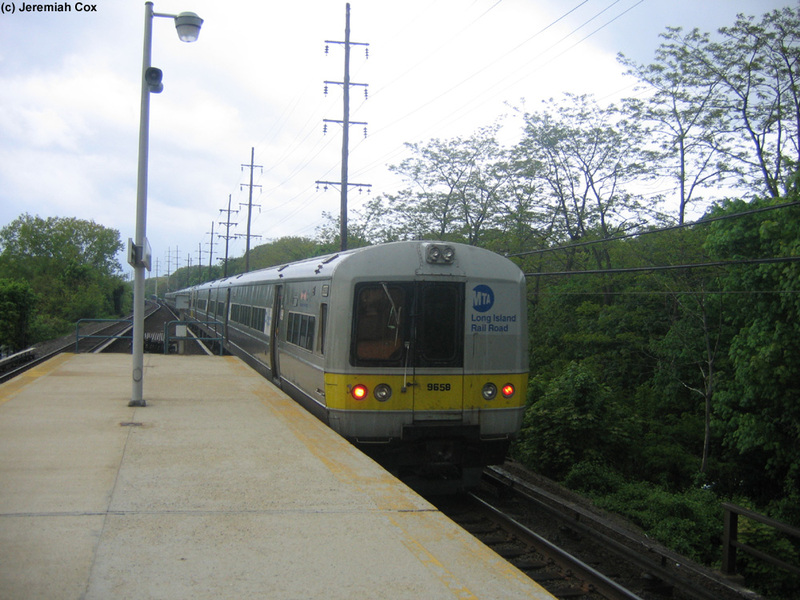 The station has a single island platform for the two-track line that can accommodate 12 cars. 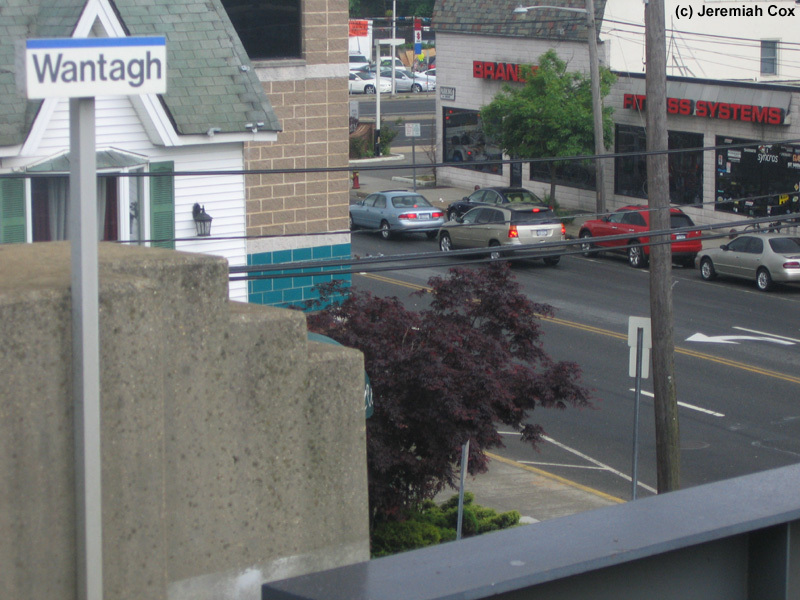 The platform runs from Wantagh Avenue at the western end (extending a few cars past the intersection) to Beach Street. 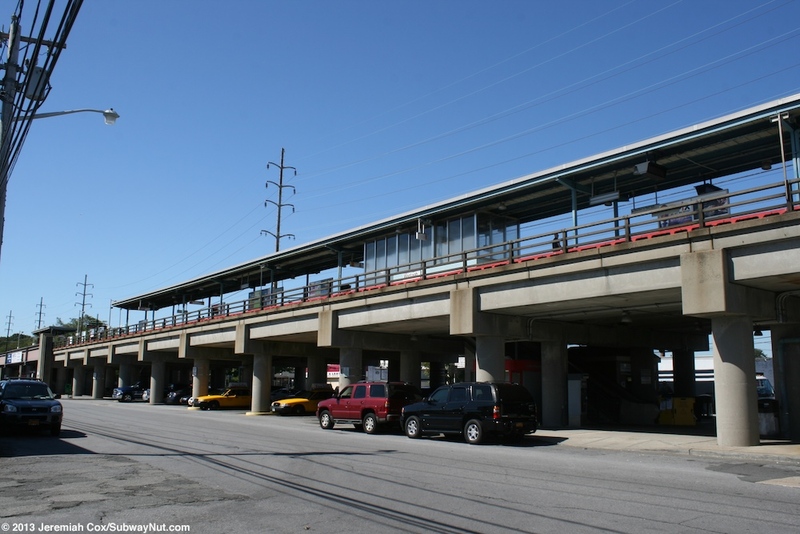 Staircases (four in total) lead down to each side at these cross streets (the one at the extreme eastern end of the platform to Wantagh Avenue splits into two before arriving at street level). 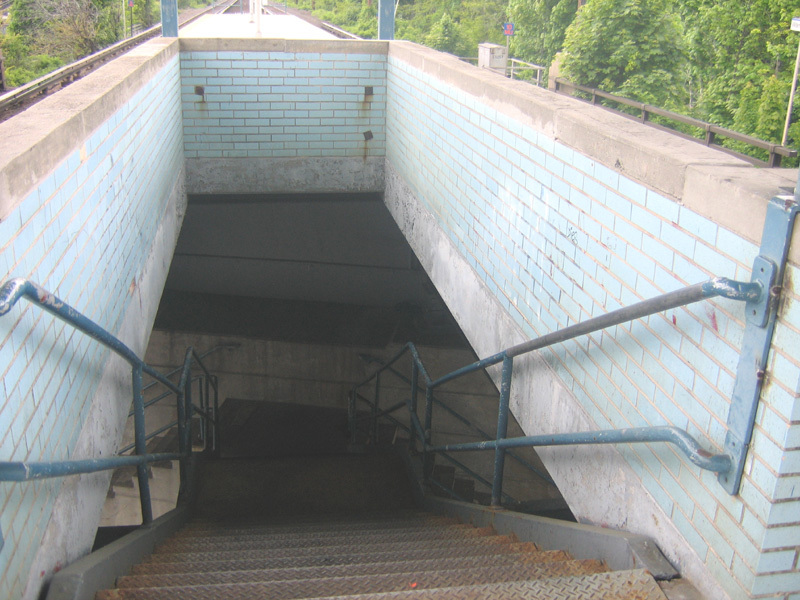 The staircases each have blue bricks around the upper platform landings. 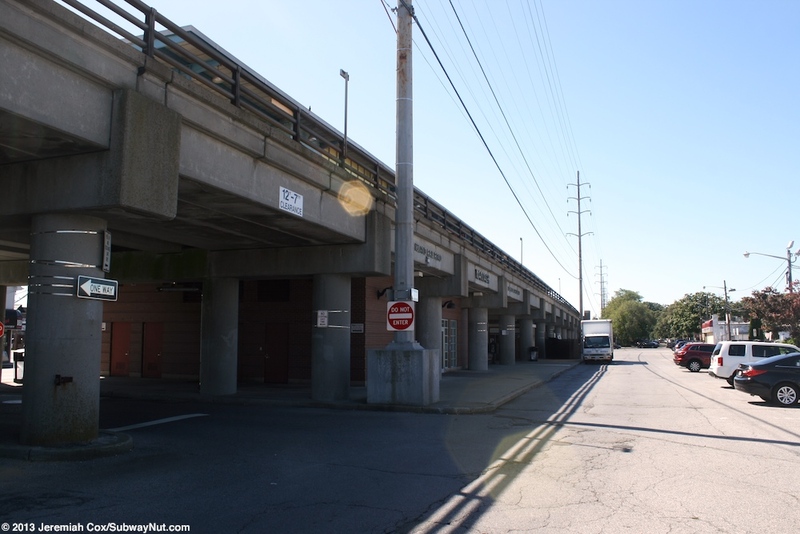 There are three separate sections of the canopies. 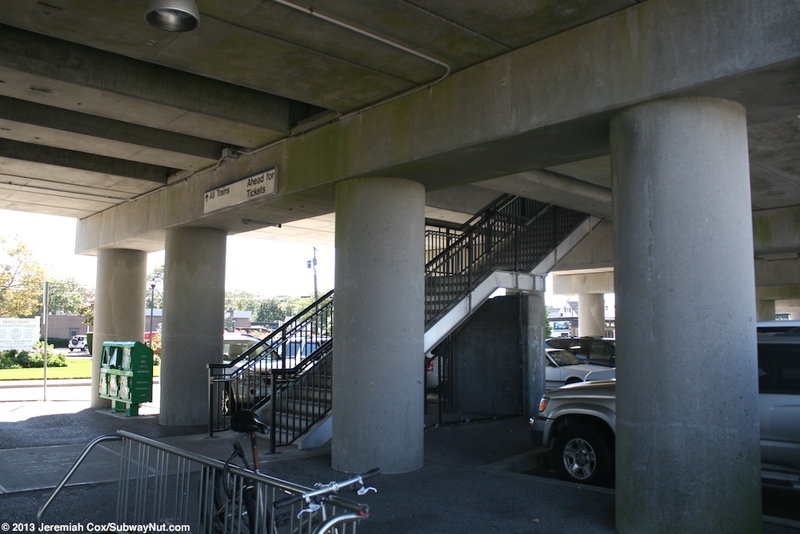 Near the western end is a very short one and a longer section covers at the eastern end covers the two staircases down to Beach Street. 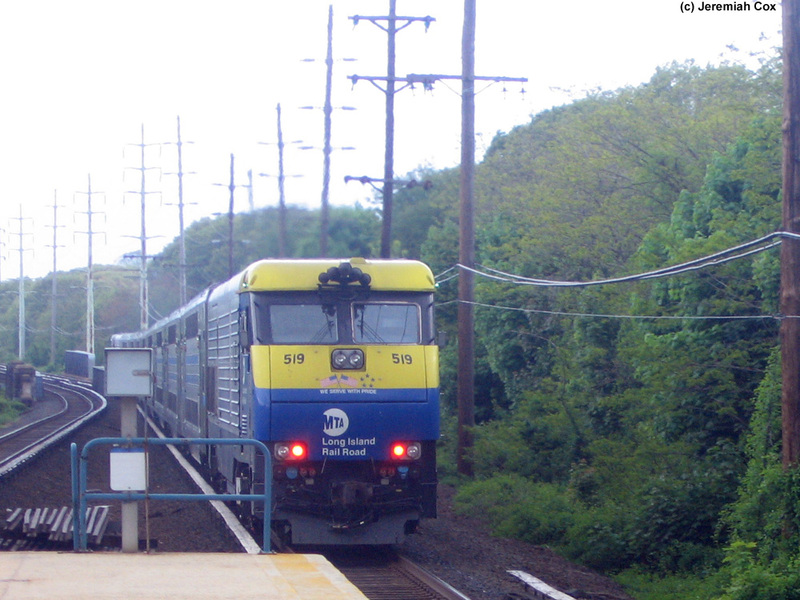 The center of the platform has the most important section. 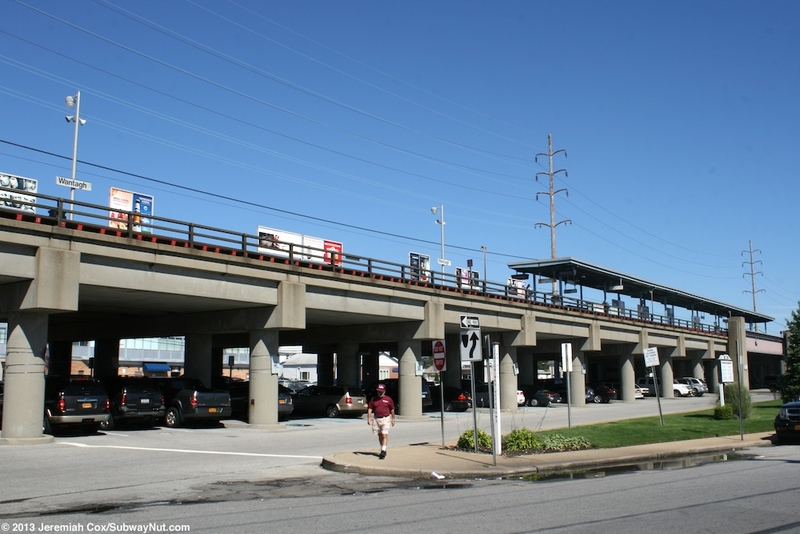 These canopies are unique and not made of concrete instead with rusting blue support beams holding up a canopy who's roof I believe is made of wood. 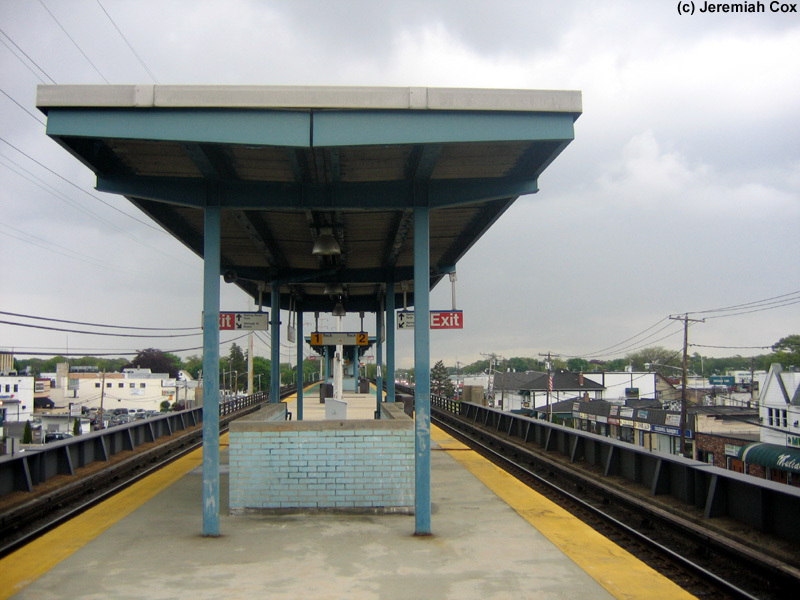 The exposed portions of the platform have tall silver lampposts like those found at the first generation high-level platforms for grade level stations. 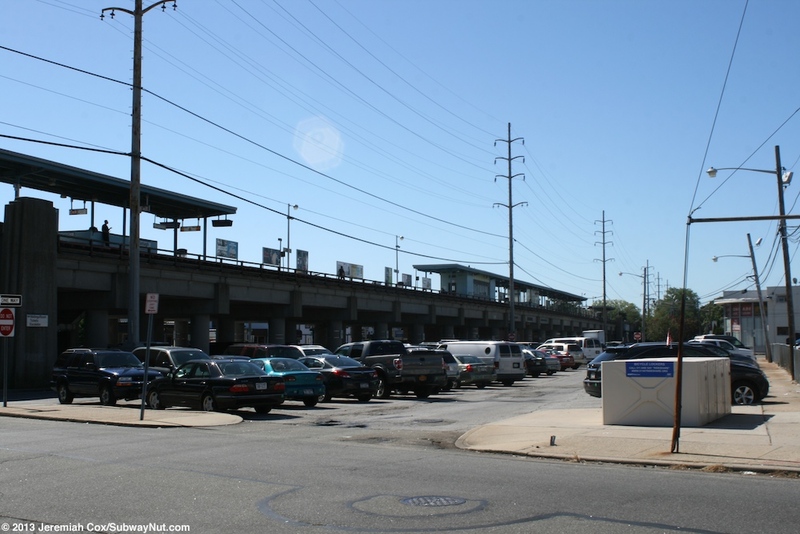 Tucked under the middle of the platform at Grove Street that ends at a T-intersection at Railroad Avenue along the south side of the tracks and bounded by Brooklyn Avenue along the northside of the tracks is a small station house. 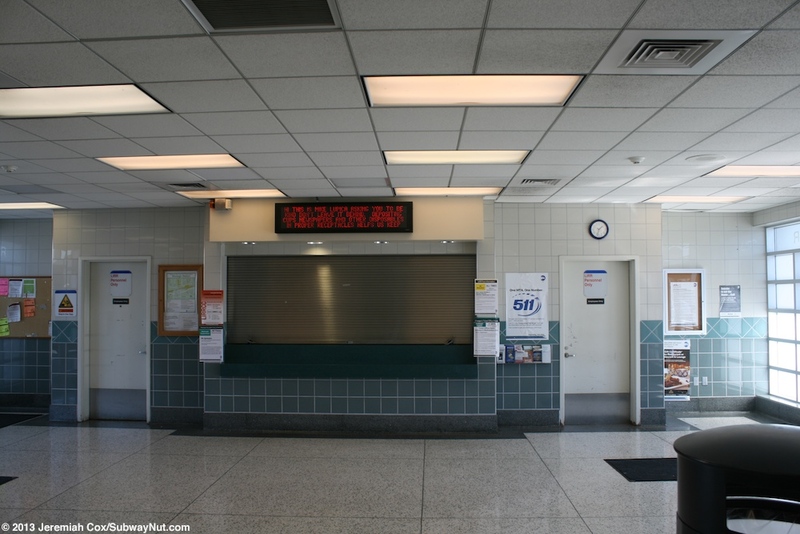 This brick waiting building contains a waiting room with modern white and blue tiling. 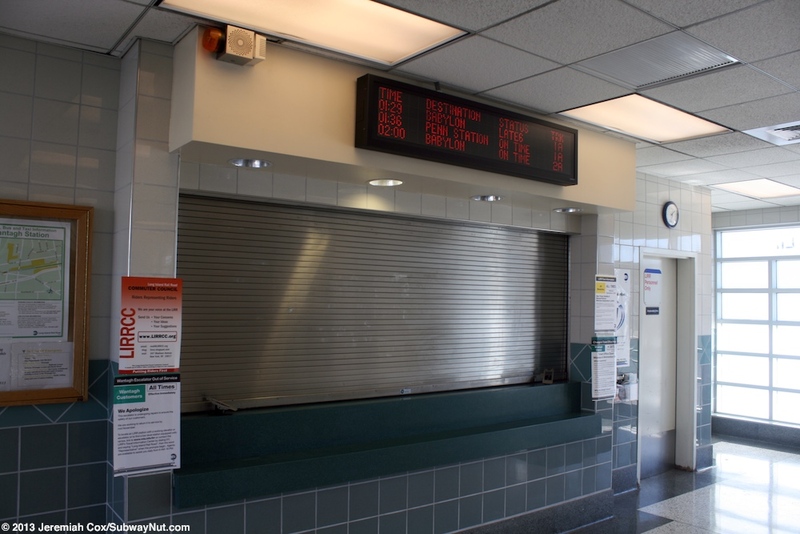 Inside are restrooms, a ticket office and only a couple of benches. 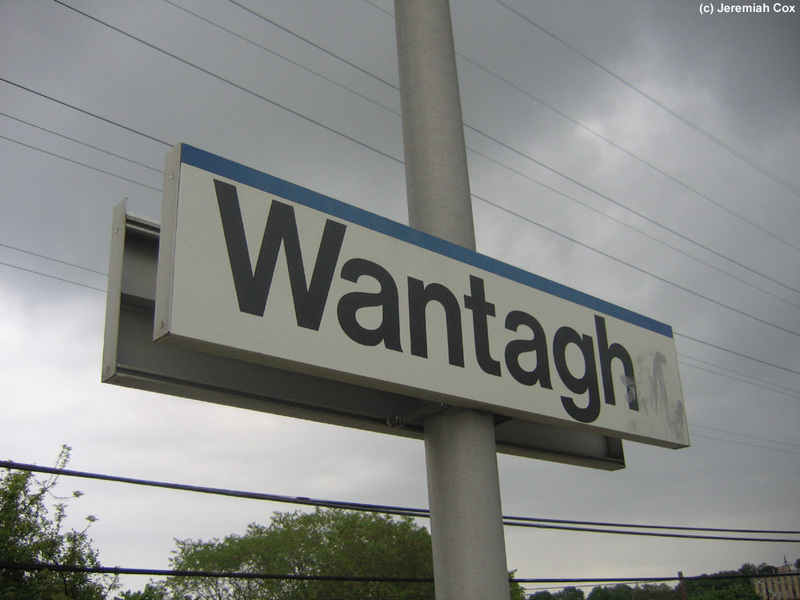 The ticket office is open Monday & Wednesday only from 6:10am to 1:45pm. The overall room is supposedly open all day on weekdays and until 2:00pm on weekends. 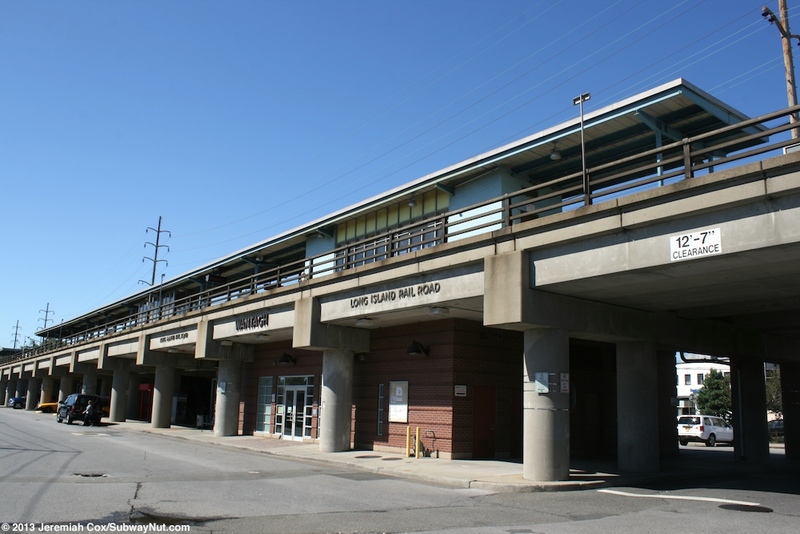 On the platform directly above the ticket office is the small on platform shelter. 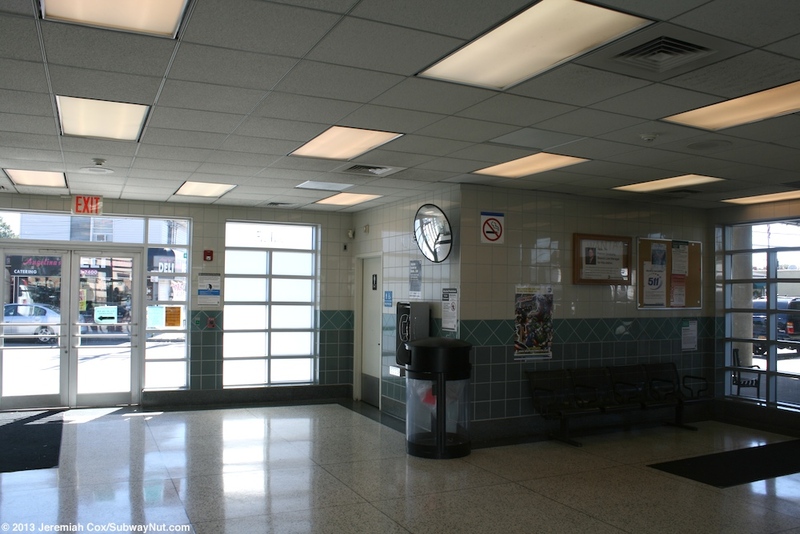 This shelter has blue block walls by the doors at each end and windows with silver frames forming the rest of the room. Inside is a small waiting room that doesn't smell so good. 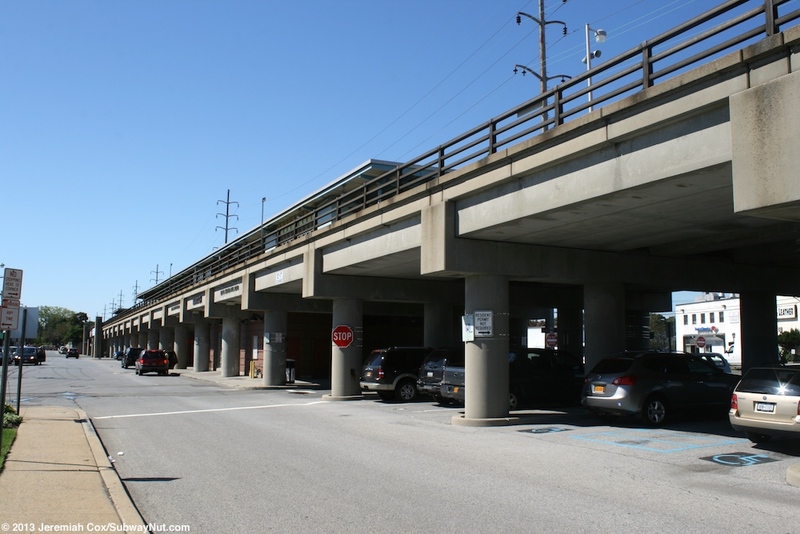 Just west of the waiting rooms is the main staircase/up escalator to the platform and the staircase to the east side of Wantagh Avenue is under the western end of this main, central canopy.